Read what our clients have to say about our services and outcomes. Helen is helping me regain my body and it's mobility through KCR, where more traditional physiotherapists have failed. Helen is clearly knowledgeable and is dedicated to her work. She puts me at ease and always has a positive outlook. 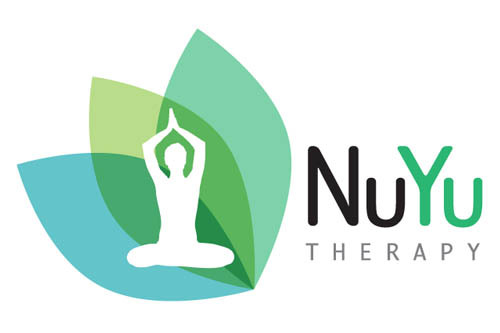 I would highly recommend Helen and NuYu therapy. I had a sore back for over a week and half after trying to move some heavy furniture. I have been using a tens machine, ibuprofen and paracetamol for pain. Helen was recommended to me. After one treatment I was walking and doing everyday activities with no pain. Helen was just fantastic so nice and professional. I would recommend Helen as a first class KCR therapist. I would like to share with everyone the difference Helen’s skills have made to my wellbeing. She has worked with me following my darkest times desperately trying to recover from C-PTSD. This was because of my childhood trauma and the worst betrayal imaginable in adulthood and the need for medication as a crutch to survive. Helen has a depth of understanding and a connection with people that has allowed me to make huge steps to a brighter future with the tools to handle whatever life throws at me. I urge anyone facing tough times to allow Helen to support you and open your mind up to the possibilities of positivity, calmness and inner peace. Both myself and my husband wanted to stop smoking. We have tried to over the years but with no success. My husband found Helen’s details online. We were both sceptical that hypnotherapy would actually work. Helen is friendly and put us both at ease and took the time to find out our needs and reasons to stop smoking. Helen used all the information provided to create a plan specifically to us. My husband smoked approximately 40 cigarettes a day, myself up to 20 a day. Since our hypnotherapy session, we have not smoked a cigarette. Let’s say we are both non-smokers and no longer sceptical. Will power is required but hypnotherapy has helped us both. I have and I would definitely recommended Helen to any family or friends. Many thanks Helen for all your help. Great therapist! Really enjoyed the experience and feeling really good! My lower back pain has eased off…although now tummy pains from laughing! Good medicine & highly recommended. I have had the same pain in both knees while climbing stairs for some time. 48 hours after my first KCR session – no more pain! I’ve had chronic shoulder pain for several months now, but after one KCR therapy I have almost got full movement back and have very little pain. I’m even back to swimming most days. Thanks Helen, You were so patient and kind and have relieved my shoulder pain when I had resigned myself to having to live with it. I wouldn’t hesitate to recommend you. I must admit to being sceptical at first but my post-race recovery has definitely improved. Had over 30 years of back trouble and visited a few chiropractors in the past. Had two sessions of KCR and felt 100 times better. Still have a bit to go, but everything was explained in a simple manner. A first class service. I have never felt so relaxed, what a lovely experience! Thanks Helen. I received KCR from Helen for a wrist injury, which I had over 10 years ago. I had 2 ops and had to take 3 different medications for the pain. I wore a wrist splint every day and found day to day tasks difficult. I was really sceptical at first, but couldn’t believe it when I left after the one and only session carrying my splint! I am now off all medications and feeling a lot better for it. Having Helen work on my wrist has helped enormously. I can’t thank you enough. My daughter (8yrs) was telling me just the other day, how she remembers what you told her when she feels annoyed!! Brilliant! you prefer a home visit.